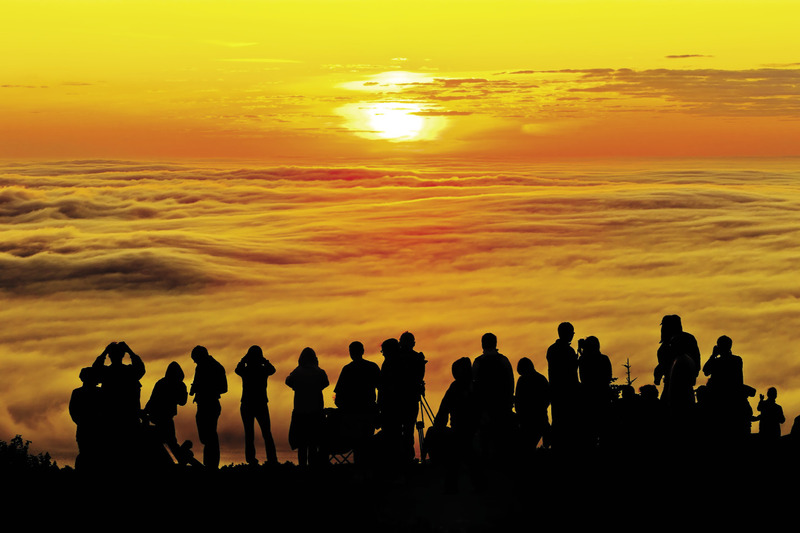 Dozens of people witness the dawn of a new day atop Cadillac Mountain, the highest point on the Atlantic Seaboard. 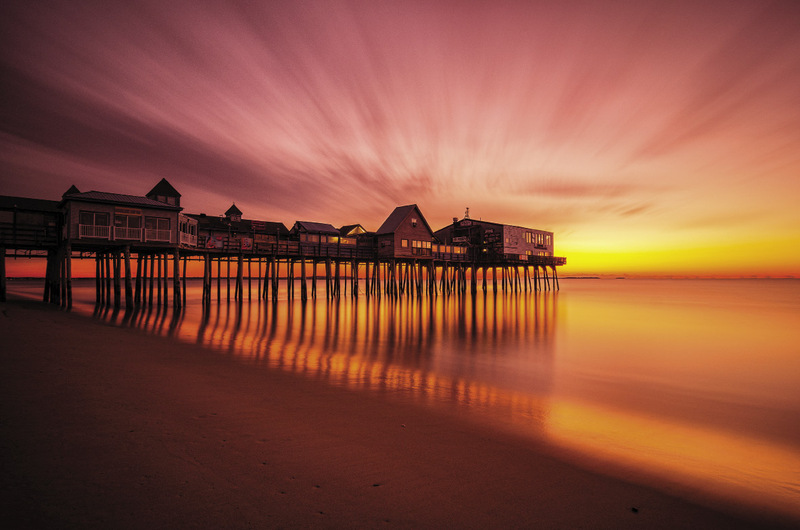 For much of the year, Cadillac is the first location in the United States to see the sunrise. 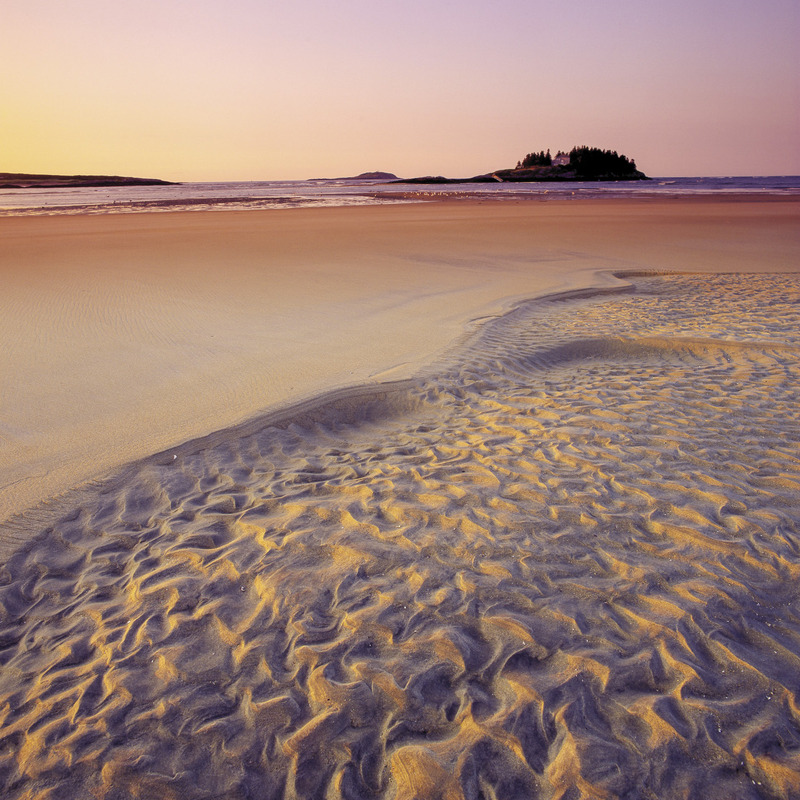 Ever changing and always beautiful, Popham Beach is a rarity in Maine: a natural sand beach on a coast dominated by granite cliffs and ledges. Popham’s dynamic personality is shaped by the relentess waves and the shifting course of the Morse River. 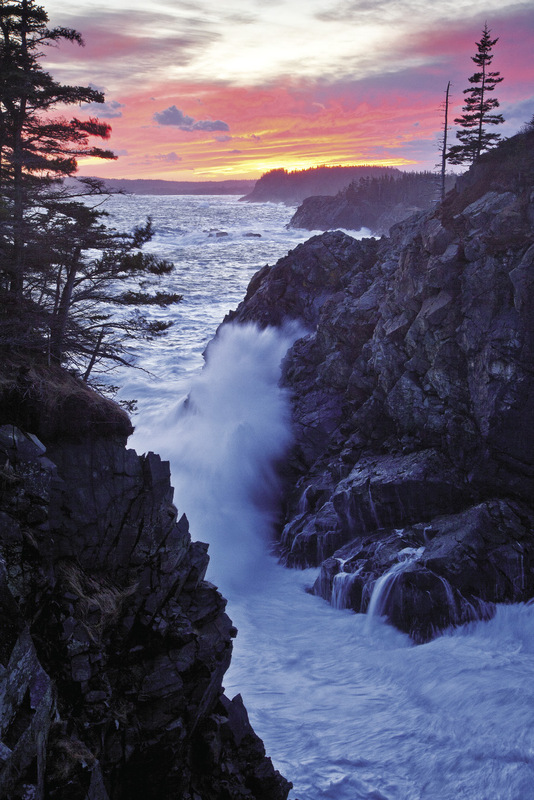 The sea has invaded Mount Desert Island, carving a narrow, steep-sided valley that nearly splits the island in two. This geology, often mistakenly called a fjörd, is a longtime object of fascination for scientists. 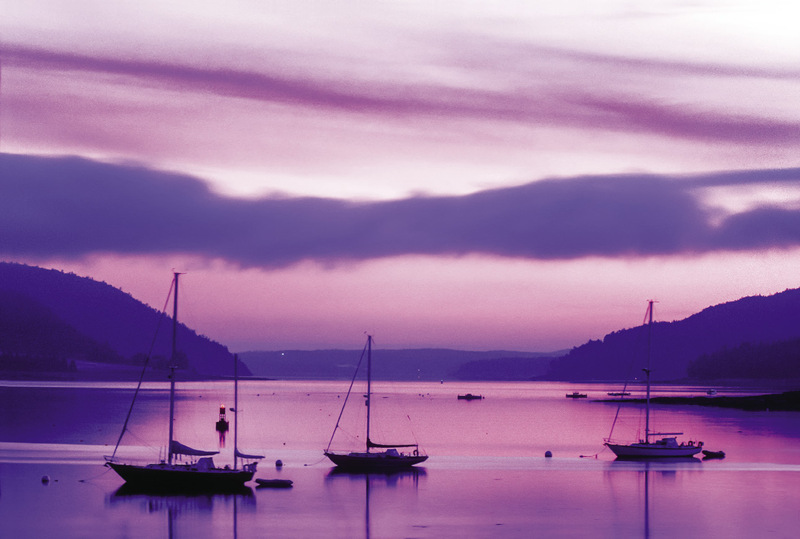 We’re content to simply marvel at the views. 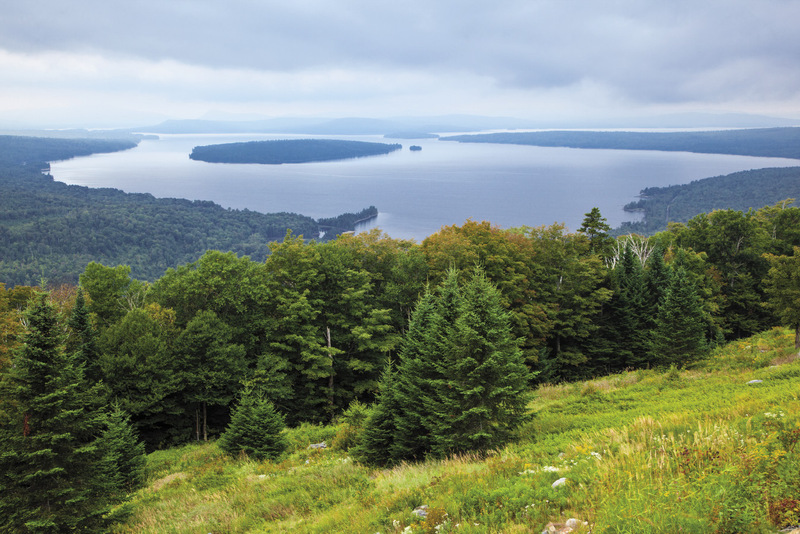 Whenever we stop to gaze upon Mooselookmeguntic Lake surrounded by a vast, unbroken forest, we are in awe of the remote wildness of our perch, forgetting momentarily the very civilized state road that delivered us there. 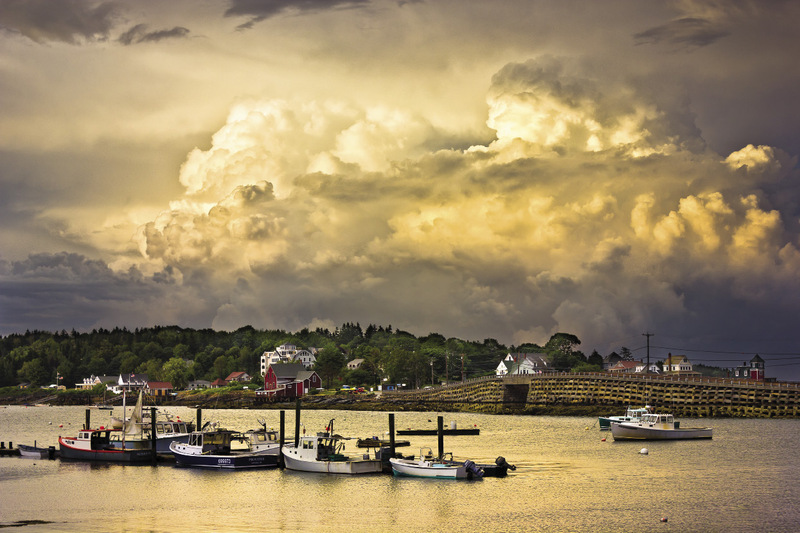 Fifteen miles off the coast of Rockland, sister islands Vinalhaven and North Haven have dramatically different personalities — one granite-bound and working class, the other soft-edged and summery — yet both cast an intoxicating spell. 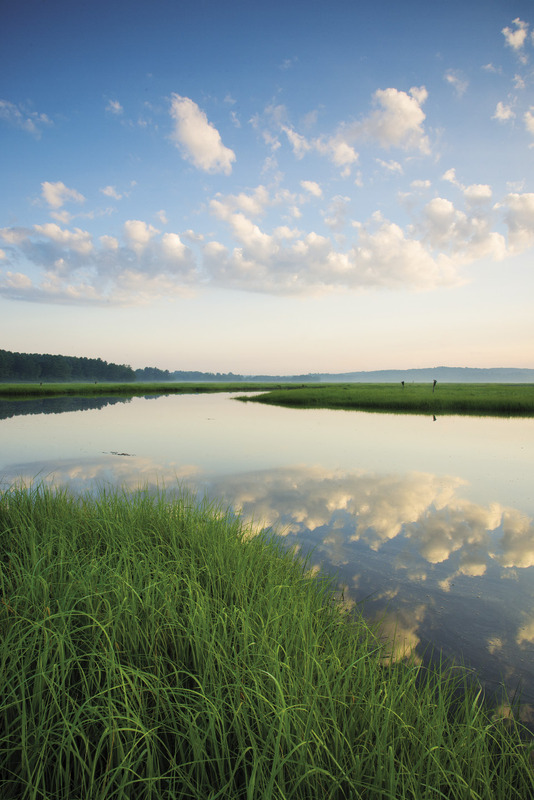 In the most developed part of Maine lies a marvel of conservation, the state’s largest saltmarsh. Its placid waterways and grasses are home to thousands of aquatic species, waterfowl, and wading birds. Mountain Brook spills out of a narrow gap in a cliff and tumbles over a series of ledges. 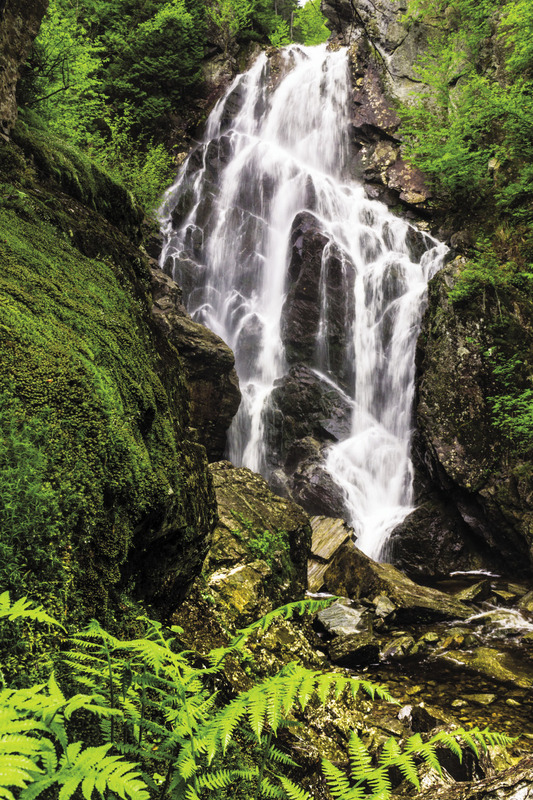 Whether the drop of 90 feet is Maine’s tallest falls is a matter of some dispute, but about the grandeur of these cascades in the forest, there is no argument. Linking Bailey and Orr’s islands, the 86-year-old Bailey Island Bridge is built of cribbed granite slabs to accommodate the strong, swift currents of Will’s Gut. It is the only bridge of its kind in the world. 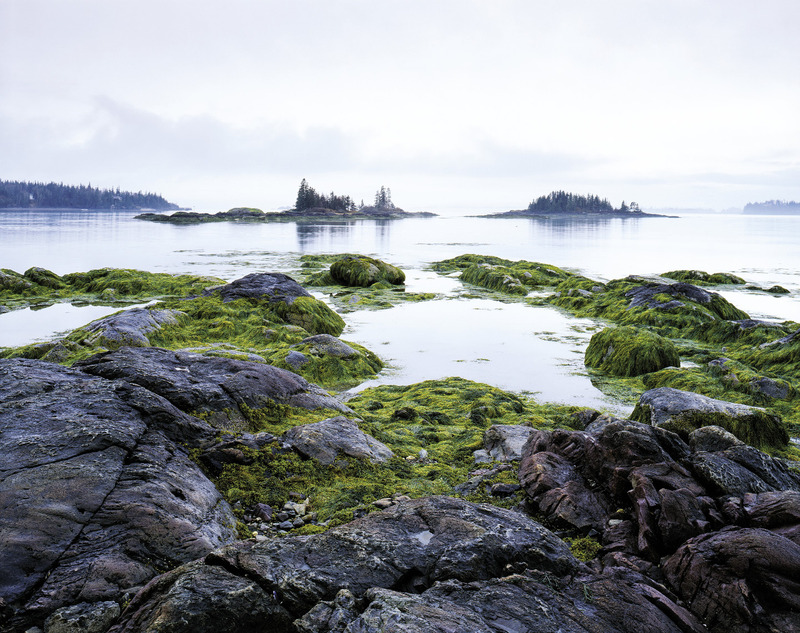 Imagine Acadia’s Park Loop Road without the road and the crowds.That’s the raw, secluded beauty of the Bold Coast, accessible via preserves in both Cutler and Lubec. 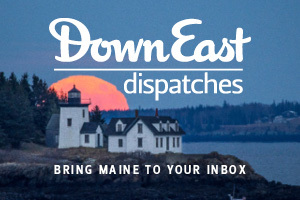 Fried dough, tacky tees, and the incessant clamor of clangs, buzzers, thumping bass, and digital arpeggios — some would call it the anti-Maine. And that’s exactly what we love about the carnival that is Old Orchard Beach.